New Mexico is in the process of rolling most of its waiver programs into a comprehensive 1115 demonstration waiver called Centennial Care. While most of its waivers have already been transitioned, the Medically Fragile waiver will not begin transitioning into Centennial care until 2019. 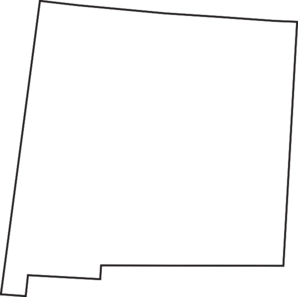 New Mexico will retain two 1915(c) HCBS waivers for people with developmental disabilities. The DD waiver does not count parent income; we are unsure whether the Mi Via waiver counts parent income or not. See the Centennial Care page for information on Centennial Care, and the Division of Developmental Disabilities for information on continuing 1915(c) waivers. Target Population: Children and adults with physical or other health disabilities, including AIDS. Description from medicaid.gov: Centennial Care seeks to modernize the New Mexico Medicaid program to assure that the state is providing the most effective, efficient health care possible for its most vulnerable and needy citizens and to create a sustainable program for the future. This new demonstration creates a comprehensive service delivery system for the New Mexico Medicaid program that is as unique as the State and designed to provide beneficiaries the right care, delivered at the right time, in the right setting. The state seeks to develop and implement a service delivery system that not only integrates care now but ensures that the State can afford to continue the program in future years. The demonstration will enroll most New Mexico Medicaid beneficiaries and New Mexico Medicaid expansion Children’s Health Insurance Program (CHIP) beneficiaries in managed care for a full range of services, including physical health, behavioral health and long term services and supports (home and community based services and institutional care). The demonstration consolidates [most] existing delivery system waivers into a single comprehensive managed care product. How to Apply: Apply online or visit your nearest field office. Waiting List: A waiting lists exists and 16,370 individuals. Description from medicaid.gov: Provides case management, community integrated employment, customized community supports, living supports, respite, nutritional counseling, occupational therapy for adults, physical therapy for adults, speech and language therapy for adults, supplemental dental care, adult nursing, assistive technology, behavioral support consultation, crisis support, customized in-home supports, environmental modifications, independent living transition service, intense medical living supports, non-medical transportation, personal support technology/on-site response service, preliminary risk screening and consultation related to inappropriate sexual behavior, socialization and sexuality education for individuals with autism, ID, DD, ages 0 - no max age. How to Apply: Call 1-800-283-5548 or follow these instructions. Waiting List: There are 3700 people with developmental disabilities on New Mexico's waiting list. Description from medicaid.gov: Provides consultant/support guide, customized community supports, employment supports, homemaker/direct support services, respite, home health aide services, skilled therapy for adults, personal plan facilitation, assisted living, behavior support consultation, community direct support, customized in-home living supports, emergency response services, environmental mods, nutritional counseling, private duty nursing for adults, related goods, specialized therapies, and transportation for individuals with autism, DD, IID ages 0 - no max age. How to Apply: Register for services with the DOH/DDSD Intake and Eligibility Unit by calling 505-841-5552 or follow these instructions. Target Population: Children and adults who are medically fragile. Description from medicaid.gov: Provides case management, home health aide, respite, nutritional counseling, skilled therapy for adults, behavior support consultation, private duty nursing, specialized medical equipment and supplies for medically fragile individuals, ages 0 - no max age. How to Apply: Call 1-877-696-1472. Waiting List: There are 3700 people with developmental disabilities and 16,370 people who are disabled on New Mexico's waiting list.